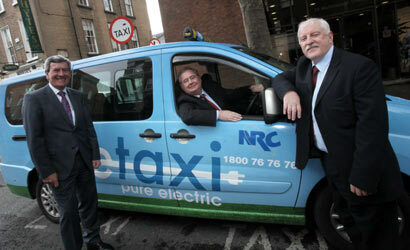 Join NRC Taxis and avail of our amazing super introductory deal which is just too good to be missed! NRC’s Cash, Account and Credit Card work is increasing and we need drivers, so ask yourself what are you actually paying to other Taxi or App companies? Trained in customer care; our drivers are courteous and reliable. We expect our drivers to be of the highest professional calibre; fully uniformed; efficient. And all new drivers who sign up before 30 April will be put into a draw to WIN €100! If you would like to join/re-join NRC Taxis and keep your costs to the minimum then give us a call on 01 708 9214 ask for Peter, email info@nrc.ie or drop into us between 10am and 5pm Monday to Friday. With the strong possibility of yet another Luas strike planned for Easter and the possibility of Dart drivers striking too we want to share a few hints and tips to help you get through the disruption hassle free. So fellow travellers – enjoy the festivities of Paddy’s Day and Easter and keep these tips in mind and you’ll get to where you are going with as little hassle as possible!